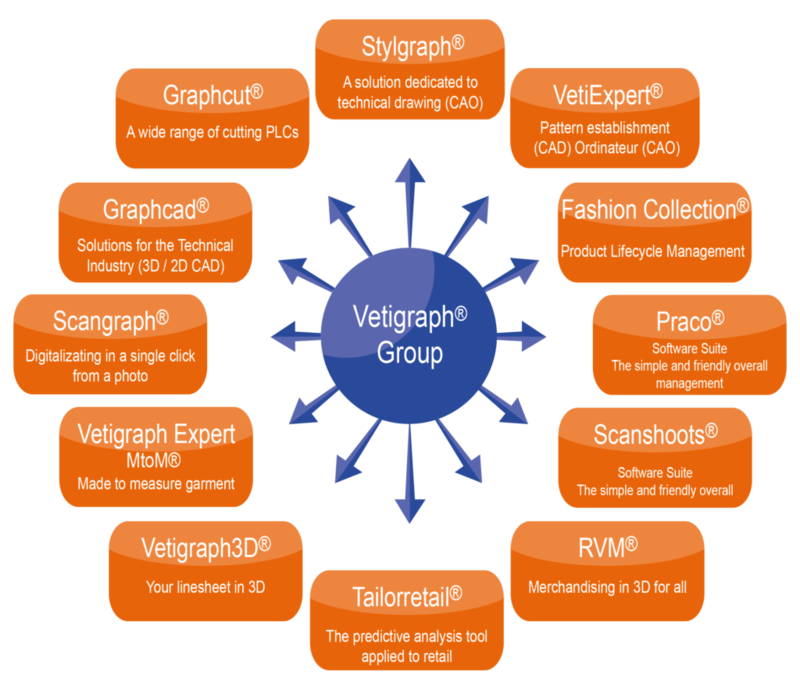 Since 1984, the French company VETIGRAPH, has been developing CAD / CAM solutions for all industries requiring the cutting of flexible materials including apparel, automotive, aerospace, furniture, technical textiles. With our knowlegde, our experience in CAD / CAM and industrial process, our solutions are the result of 35 years of direct contact with the customers to bring them the solutions they expect. Our R & D office is constantly developing new hardwares and softwares solutions for your to improve your work efficiency.